A swarm in July isn't worth a fly. Each Bee larva receives an estimated 10,000 meals during the larva stage. by a customer: Installing Bees from a Nuc to a SwingView. Here's the above SwingView Hive the following Spring. Showing installation of a Bonterra SwingView Hive. Bee videos from a SwingView Hive, by Frederick Dunn. to the "pedestrian path" conflict with exiting Bees. 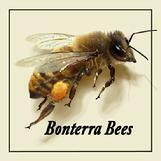 www.beesource.com A great bunch of beekeepers and info. Here's everything you could want to know about Bees. This link was contributed by a great bunch of kids. www.glenn-apiaries.com a wealth of info regarding bee genetics, photos, queen rearing and more. support native pollinators. Offers tips and resources for bee friendly farming. A great book about Bees and their fascinating decision making process.